Jason Fried & David Heinemeier Hansson are the co-authors of Rework and founders of the software company 37signals, which produces products such as Basecamp, Highrise, Backpack and Campfire. They have had 10 years of sustained profitability and created millions of global customers, with only 16 employees in eight cities on two continents. 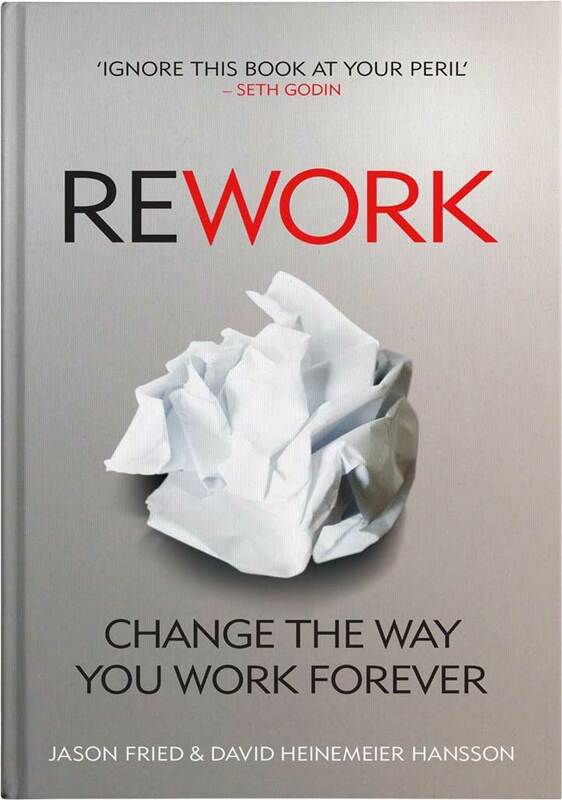 Rework was first released in 2010 and is now in its 5th edition. It is a collection of Fried’s and Heinemeier Hansson’s best strategies, attitudes and approaches to work that redefine the rules of 21st century business realities for success. I love this book and wish I had read it years ago. It’s short, punchy uncomplicated and hits you in the face with it’s counterintuitive (or counter workplace culture) approach to running a business and your life. With 10 powerful key business themes, I also love that this book can be read in one sitting, with chapters that are only 1-2 pages long! But don’t be fooled, each succinct chapter really challenges you to rethink your current practice and to toss out that old business rules of working, with a call to action to change. The power of their book is that it runs contrary to most business models, approaches and current teachings. They emphasise that what’s traditionally expected doesn’t work anymore and will actually make you quickly redundant. In fact, their style is unorthodox and their business success has been achieved by flipping traditional business models on their head and choosing the opposite of what is expected. Planning is guessing – Long-term planning is for fortune-tellers, it is a waste of time, it places blinkers on you and is ‘inconsistent with improvisation’. Instead, they advise work on stuff that is important for today and for this week only and have a plan that is 1 or 2 pages – period! Then get to work, innovate as you need to and when the market place changes – respond. Why grow? – “Small is not just a stepping-stone. Small is a great destination in itself.” For most companies the obsession with growth is about ego and also based on an out dated model of big wins over small, however, big business now typically equates with slow, bureaucratic and inflexible. Instead, embrace being small, grow slow and do what is right for your current circumstances. If you are sustainable and profitable (regardless of size) you are a success and that’s something to be proud of and should be celebrated. 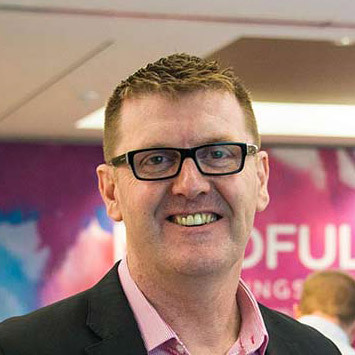 Don’t copy competitors – Worrying about and focusing on your competitors (doing a competitive analysis) is a waste of time and only puts you in a passive position where you can ‘never keep up, never lead and you are always following’. Instead, work on creating something that you want that hasn’t been invented yet and you would love to buy if it existed. Some of my other favourite chapters are the ones that focus not only on business, but also on leadership and the importance of making a life stand on something that you believe in and being prepared to work on over your life. Budding entrepreneurs, small businesses and start-ups will love this book. As the entry barriers to business have been demolished and the tools that were once out of reach our now easily accessible in the 21st century, and are either totally affordable or completely free. However I believe every leader should read this book, especially if you want to shake up your people, yourself and some of your workplace traditions along with reenergising the way you work and create success.